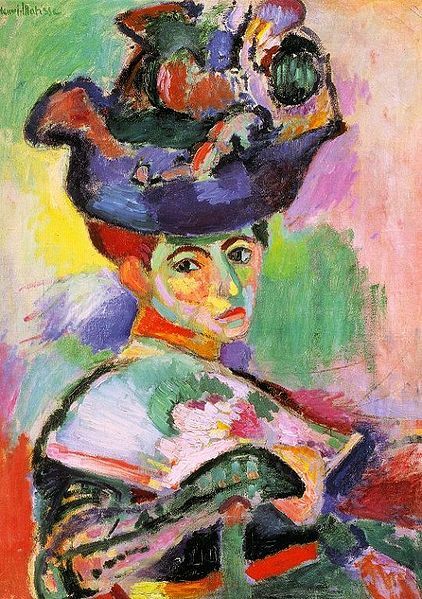 This entry was posted in Art, Art Appreciation, Claude Monet, Henri Matisse, Matisse, Matisse Woman With A Hat, Oil on Canvas, oil paint, Paint by Number kits, Paint by Number Online, Photos, pigment, Pop Art, portrait, Uncategorized, Vincent Van Gogh and tagged American Portrait Painter, Andre Derain, Art, brain teaser, brushstrokes, color, Color by Number, color by number online, craft, crossword puzzles, Fauve, Fauvist, games, Henri Matisse, masterpiece, Matisse, Maurice de Vlaminck, Paint, paintbrush, paintbrush. easy, painting, patterns, portrait, Puzzles, scrabble, Segmation, SegTech, Strange use of color, wild beast on April 11, 2011 by segmation. Art can be a powerful vehicle for social change, offering the opportunity for reflection upon pressing issues and social injustices. Through image-making, those who feel powerless are given a voice. One of the most critical, ongoing topics of global concern is the quest for world peace. In September, scores of artists gathered in Moscow, Russia to paint benches for the The Bench of Peace International Art Project, shown above. Placed side by side, the benches stretched 400 meters along Lavrushinsky Lane and were later auctioned off for charity. Events such as this demonstrate that art is not just about making a pretty picture – art also makes a statement, one that may linger in viewers’ memories long after they’ve stopped looking at the art. Pablo Picasso, one of the 20th centuries most celebrated artists, created many drawings and lithographs of doves, the international symbol of peace. While his first dove artwork in 1949 was created in a realistic style, his subsequent peace doves took on a more elegant, minimalistic style. On the opposite end of the spectrum, his painting Guernica depicts the horrors of war, and is hailed as one of history’s most powerful anti-war paintings. Organizations such as the Global Art Project aim to promote peace through art. Through various visual art projects, they seek to educate the public about diversity and tolerance. Art for peace can take the form of community-based projects that focus participants’ minds on the causes of conflicts and solutions for spreading inner harmony and outer peace. From conceptual street art to traditional fine art, the variety of art created for peace demonstrates the power of images to transform the world, one person at a time. This entry was posted in Art, Kids Christmas Art, Patterns, Puzzle, What is the meaning of Christmas and tagged addicted, all ages, Art, art class, Art fpr Peace, art student, art teacher, artists, brain teaser, color, Color by Number, color by number online, computer, computerized, craft, Crafts, Creative, easy, fun, games, gift, Knitting, masterpiece, mouse, no mess, online, online color by number, online paint, online paint by number, Paint, Paint by Number, paint by number online, paint by numbers, paint by numbers online, paintbrush. easy, painting, painting by numbers, pallet, patterns, pc, pigments, puzzle, relax, relaxing, scrabble, Segmation, SegPlay, SegPlay® PC, SegTech, Windows on December 15, 2010 by segmation. The Zodiac is a ring of constellations that form a path across the celestial sky that the Sun takes. There are twelve constellations which divide the path into equal portions. Although the zodiac remains the basis of the ecliptic coordinate system in use in astronomy, the term “zodiac” and the names of the twelve signs are mostly associated with horoscopes. The signs of the zodiac are: Aries (Ram), Taurus (Bull), Gemini (Twins), Cancer (Crab), Leo (Lion), Virgo (Maiden), Libra (Scales), Scorpio (Scorpion), Sagittarius (Archer), Capricorn (Goat), Aquarius (Water Bearer), and Pisces (Fish). Our collection of Zodiac Signs contains illustrations of the signs in four contemporary art styles. This set contains 48 paintable patterns. This entry was posted in Art, Patterns, Puzzle, Segmation, Zodiac and tagged Art, Art Appreciation, Brain Teasers, Horoscope, Puzzles, scrabble, Zodiac on December 12, 2010 by segmation. Football is the predominant fall season sport in the United States and Canada. It’s also referred to as Gridiron outside North America. It’s a physically demanding sport, which requires a significant amount of training and teamwork. The main objective of the game is a touchdown where a team must advance the football into the opposing team’s end zone. Points can also be scored by kicking the ball through goal posts placed at the end zone. Our pattern set includes 21 fun and simple illustrations of football players in various aspects of the game. There are also patterns of cheerleaders, a coach, and a referee. This entry was posted in Art, Football, Football Monday, Segmation, Uncategorized and tagged Art, art teacher, Broncos, Chargers, Color by Number, color by number online, craft, easy, Football, fun, games, no mess, Paint by Number, relaxing, scrabble on November 22, 2010 by segmation. Autumn is one of the four annual seasons and ranges (in the Northern Hemisphere) from September 22th to December 21st. The exact times are measured by the Autumn equinox and the Winter solstice. Autumn is associated with many natural events including harvesting of crops, a cooling of temperatures, a graying of skies, and most noticeably, the changing colors of leaves. Segmation’s “In Awe of Autumn” set contains a colorful array of photographs which depict autumn at its finest. Yellow, red, and orange leaves are shown in numerous forms. Skies are shown with dynamic coloring as well. Rivers, mountains, fields, ducks, apples, and country roads are also shown in fall season. Segmation’s In Awe of Autumn set contains over 20 paintable patterns in all different painting levels. You’ll find in our Segmation SegPlay® Thanksgiving pattern collection, many contemporary scenes of the Thanksgiving holiday, including numerous colorful turkeys, cornucopias, pumpkins, pilgrims, thanksgiving art, being thankful and harvests. Gooble Gooble! This entry was posted in Art, Autumn, Black Friday, Brief Definition of Art History, Game, Gooble Gooble, Kids Thanksgiving Art, Meaning of Thanksgiving, Online Paint by Number, Paint by Number kits, Puzzle, Segmation, thankful, Thanksgiving and tagged addicted, all ages, Art, art class, art student, art teacher, artists, Autumn, brain teaser, color, Color by Number, color by number online, computer, computerized, craft, Creative, easy, fun, games, gift, masterpiece, Meaning of Thanksgiving, mouse, no mess, online, online color by number, online paint, online paint by number, Paint, Paint by Number, paint by number online, paint by numbers, paint by numbers online, paintbrush. easy, painting, painting by numbers, pallet, patterns, pc, pigments, puzzle, relax, relaxing, scrabble, Segmation, SegPlay, SegPlay® PC, SegTech, Thanksgiving, Windows on November 20, 2010 by segmation. An important aspect of creative art marketing is finding new opportunities to exhibit your art. 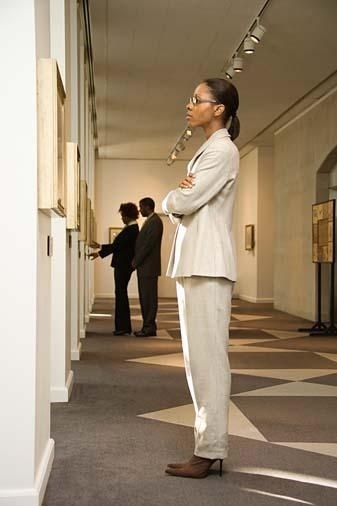 If you are just embarking on your art career, you may encounter difficulty getting into traditional galleries, especially because the current economy is making art galleries less inclined to take on emerging artists with no proven sales record. While participating in art fairs is another option for artists who want to get their art in the public eye, some of the best art fairs charge high booth fees (in the ballpark of $200 for one weekend), which can be a huge chunk of money for emerging artists on a tight budget. So what’s the best route for emerging artists? Cafes, restaurants and coffee shops – Many independently-owned cafes and restaurants are open to the idea of hanging the work of local artists. Some may request a small commission on works sold while others will let you hang your work for free. Your own home – Transform your living room into a temporary gallery space. Send out invitations to everyone you know as well as local art critics and gallery owners. If you have several artist friends living nearby, see if they are interested in opening up their homes in a similar way on a certain evening, and you can advertise your “open houses” as part of an Art Walk. Office buildings – If you work in an office, or have a friend or relative who does, ask if you could hang a temporary exhibit on their walls. You never know who might see your art and what kind of contacts (and sales!) you could make as a result. Libraries – Most libraries have changing exhibitions throughout their buildings, and some even actively seek out local artists to exhibit. Inquire at the front desk of your local library. 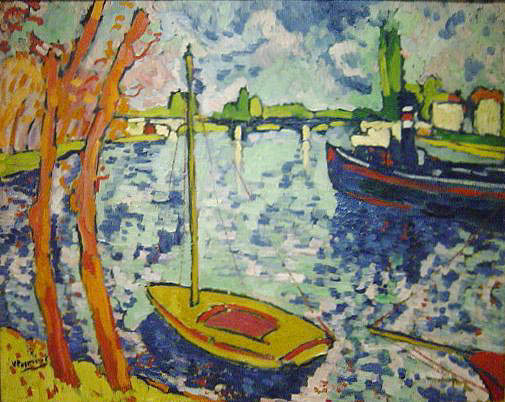 Bank lobbies – Hanging artwork in bank lobbies can work especially well if you do regional art, such as local landscapes or cityscapes, but other types of art can be hung in bank lobbies, too. If people already have their wallet out, they are in a prime position to buy art. Empty warehouse or storefront – Offer to rent an empty warehouse or storefront for a month, or even for just a week or a weekend. (If you rent it for a short time, be sure that you advertise widely so that people know about your special art event.) Landlords will usually be glad to let you fill the storefront, rather than have an empty window. You will even be doing your city a favor by revitalizing the area with art and culture. If you can’t afford the rent by yourself, round up a group of artists to chip in. Sell art from the trunk of your car. This may sound extreme, but this practice has been used by folk artists around the world. You can set up by the side of the road (but be sure to check beforehand whether or not you need a permit). Be sure to have a large eye-catching sign proclaiming “art for sale” and display some of your pieces on easels next to your car, so that people will know what you have to offer. No matter where you are in your art career, the opportunities for exhibition are always out there – even if you have to create them yourself! This entry was posted in Art, Online Paint by Number and tagged addicted, all ages, Art, art class, art student, art teacher, artists, brain teaser, color, Color by Number, color by number online, computer, computerized, craft, Creative, easy, fun, games, gift, masterpiece, mouse, no mess, online, online color by number, online paint, online paint by number, Paint, Paint by Number, paint by number online, paint by numbers, paint by numbers online, paintbrush. easy, painting, painting by numbers, pallet, patterns, pc, pigments, puzzle, relax, relaxing, scrabble, Segmation, SegPlay, SegPlay® PC, SegTech, Windows on November 18, 2010 by segmation. Beautiful Thanksgiving Scenes to be thankful for. Gooble Gooble! All Ages can enjoy and have fun! Thanksgiving is a traditional holiday in North America, which gives thanks for a bountiful harvest. The festival dates back to the pilgrims in the 1600s celebrating their harvest with native Indians at the Plymouth Plantation. In the United States, Thanksgiving is observed on the fourth Thursday in November where parades, football games, and an elaborate family Turkey dinner are the most commonplace activities. You’ll find in our SegPlay® Thanksgiving pattern collection, many contemporary scenes of the Thanksgiving holiday, including numerous colorful turkeys, cornucopias, pumpkins, pilgrims, and harvests. This entry was posted in Art, Black Friday, Game, Gooble Gooble, Kids Thanksgiving Art, Meaning of Thanksgiving, Online Paint by Number, Paint by Number kits, pavement art, Sidewalk art, thankful, Thanksgiving and tagged addicted, all ages, Art, art class, art student, art teacher, artists, brain teaser, color, Color by Number, color by number online, computer, computerized, craft, Creative, easy, fun, games, gift, Holidays, Indians, masterpiece, mouse, no mess, North America, online, online color by number, online paint, online paint by number, Paint, Paint by Number, paint by number online, paint by numbers, paint by numbers online, paintbrush. easy, painting, painting by numbers, pallet, patterns, pc, pigments, Plymouth, puzzle, relax, relaxing, scrabble, Segmation, SegPlay, SegPlay® PC, SegTech, Thanksgiving, Turkey, Windows on November 16, 2010 by segmation.